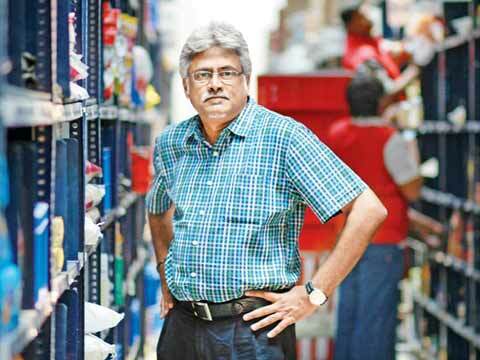 In a candid chat with the Retailer Media, Hari Menon, Co-founder and CEO, BigBasket spoke about the introduction of new initiatives, which will be launched by December 2016. What are the grocery-buying patterns of customers today? Consumers buy grocery basically in three ways. They have a planned buy. Grocery is the only item for which you have a list. You will decide what to buy during the week and then buy over the weekend. This is the category we have been in since we have started. Planned buys are normally the large buys that customer does. Average number of items that a planned buy basket has is 26 items/ products. And in the beginning of the month it can go up to 50-60 items, depending upon the size of the family. This business cannot be delivered on two-wheelers because they are large. It is not possible for us to send two-wheelers because then we will have to send some 15 two-wheelers to a house to complete an order. This is basically the first part of our model which we are doing currently. Second thing a customer does is buy emergency items or things like fruits, vegetables and meats, which typically because of low shelf price, is bought more often in a month. It means that such items get over before the month end. Earlier, we were not offering this top-up service but now we do. We will deliver such products in one hour. We have just started this service in Gurgaon and will soon launch it PAN India. We are going to be in 8 tier-one cities, we are in 6 already and will open up in Ahmedabad and Kolkata. This is our tier-one strategy. Third thing is that there are certain items for which a customer goes to a specific store to buy them. For example a lot of people say, “I will buy bread only from Mahindra Bakery.” So, what we want to do is create a marketplace for specialty stores. If you are coming from a particular pin code, you would be shown stores only from that area. All our models are actually inventory-led. We never go and pick up from neighbourhood stores. Financially, commercially, economically this model doesn’t work for us because of margins, quality etc. You get dependent on someone else’s quality, availability and the same margin will now get shared between two people. For these reasons, we have decided to control the entire supply chain. BigBasket is also coming up with ‘Dark Stores’, why are they included in the model? These ‘Dark Stores’ are inventory storage points in the city where we will stock the items which are bought in emergency requirements or frequently. These are the items which we will stock in our stores and deliver in one hour. And this is the reason why we acquired the company called ‘Delyver’, to power our one-hour express delivery model. Outside of major cities, where else will BigBasket plan to operate and by when? We are planning to expand into tier-two cities of the country. Outside these current cities we have cities like Mysore where we have launched two months back and like this, we will expand to 60 more cities. This year, we will expand to 20 cities in tier-two and 8 cities in tier-one. These tier-two cities will be serviced by these main tier-one warehouses. In tier-one the warehouses that we have are about 70-80 thousand sq. ft. and they grow to about 200 thousand sq. ft. as we keep going and covering other major parts of the country. What is the reason behind the sudden burst of investor activity in the hyper local space? I have no idea about why investment is happening in hyper local space. I think I am a wrong person for this question. BigBasket has control of the entire supply chain. What is the delivery mechanism undertaken by the company? Entire supply chain is controlled by BigBasket. We don’t outsource at all. Even Delyver is a fully-owned entity of BigBasket now. For grocery, it’s very important to have instant and safe deliveries unlike regular couriers. It requires things like cold storage etc. We have chillers and freezers in the delivery vans and we deliver even ice-creams. There is a huge demand of chilled and frozen items today. What are the challenges you have faced in terms of expanding to other territories? We have actually now overcome all major challenges as we have been into the business for more than 3 years. We have fine-tuned all our processes and everything is very smooth. This is a very complex category and so is the supply chain part. The supply chain is very local and we have to do it city by city. We can’t pick a product from Bangalore and deliver it to Delhi. So, we have cracked that and we have things in place. But still there are issues like seasonality and hence you have to make sure that you buy at the right time so the quality doesn’t suffer. There are challenges of buying items. As we are growing rapidly, we have to make sure we recruit the right people, train them and deploy them. A customer shops with us anywhere about two and half times with us in a month. We currently do about 22,000 orders a day, and cannot take a risk with that. For them, everything has to be smooth. How much money has the company raised and utilized so far? I can’t comment on the part that concerns utilization of financial resources, but we have enough money for the coming future. As of now we have raised about 750 crores in total.